The article presents a manner of formulating the problem of designing safety systems in terms of decision-making problems solved with the use of the models of the so-called games with nature. The models of this type are very frequently used to make decisions under conditions of uncertainty. The situation also occurs in the process of designing safety systems. For the purposes of solving the problem, the appropriate understanding of the basic components of the models of games with nature, i.e. the game strategy and the state of nature, was assumed. In this context, a definition of a system and a safety system was provided, along with an interpretation of the relationships between safety system elements (risk reduction measures) and domain elements (hazard factors/sources, hazards), on account of which these systems are designed. The specificity of the functioning of safety systems also required a modification of the decision rules applied within the models used. The modification was illustrated with the example of Wald’s rule. 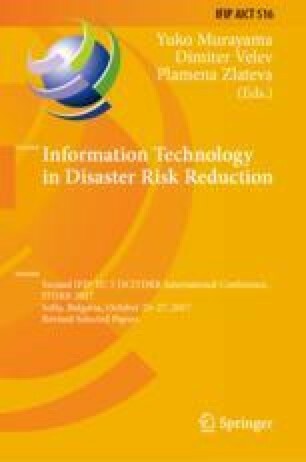 A general concept of formulating the problem of designing safety systems as a decision-making problem was presented, along with the general algorithm of selecting risk reduction measures for safety systems with the use of the modified rules of the models of games with nature. Next, a mathematical model of the research problem was provided, including: creation of the risk reduction measure efficacy matrix, creation of the hazard source – hazard relationship matrix, determination of the payoff matrix, and the modification of decision rules. Usually, there is a need to select more than one risk reduction measure. An already developed original concept of sequential selection of these measures was used. The application of the rule adaptation proposed here was illustrated with an example of a fire protection system for railway vehicles. Hazard sources were identified and hazards related to electrical systems in railway vehicles were formulated. A list of examples of risk reduction measures which may form a safety system was presented. The research work financed with the means of statutory activities of Faculty of Machines and Transport, Poznan University of Technology, 05/52/DSPB/0280.